Liberal’s Elwin Trejo is at it again. After winning state for the Liberal Redskins in the heavyweight division of class 5A, Trejo is back on the mat. Trejo competed at the Rocky Mountain Nationals and had three pins and made it to the finals. Liberal’s Misael Monarrez and former Redskin Victor Monarrez also competed. Victor took third. 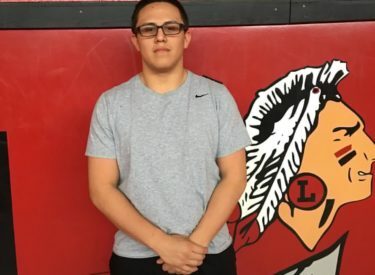 On Friday Trejo will wrestle at the Senior All Star Classic in Topeka.